It’s been a busy few weekends racing lately. In the past three weeks I have been to Brooklyn, London and Hamburg for races, I’m now back home in rainy Devon and I have two races this week although this time I will get to ride my road bike. 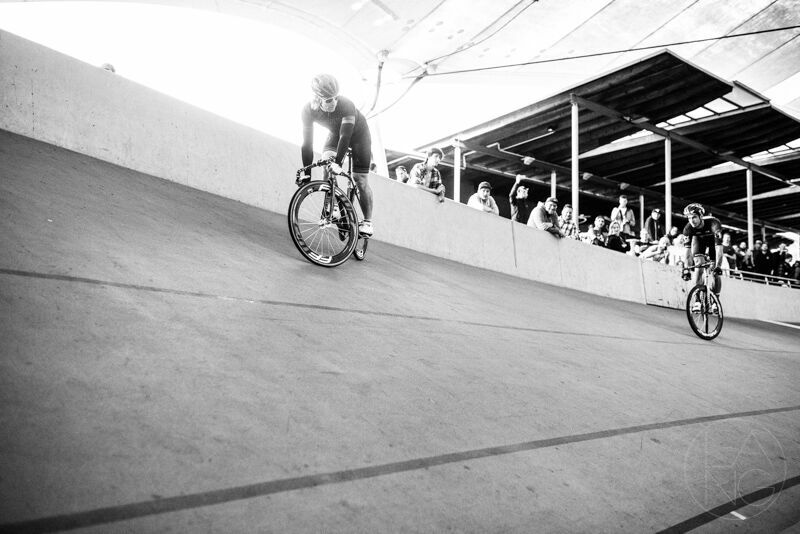 But this post isn’t about next weekend it’s about he amazing time I had in Hamburg racing at the Fixed Days and Waterkant Krit. Fixed Days covers a few days, there are lots of events, rides and races organised by Hamburg’s finest. Arriving late Friday evening we had missed the days events but were looking forward to a day at the velodrome on Saturday and a fixed gear crit on the Sunday. 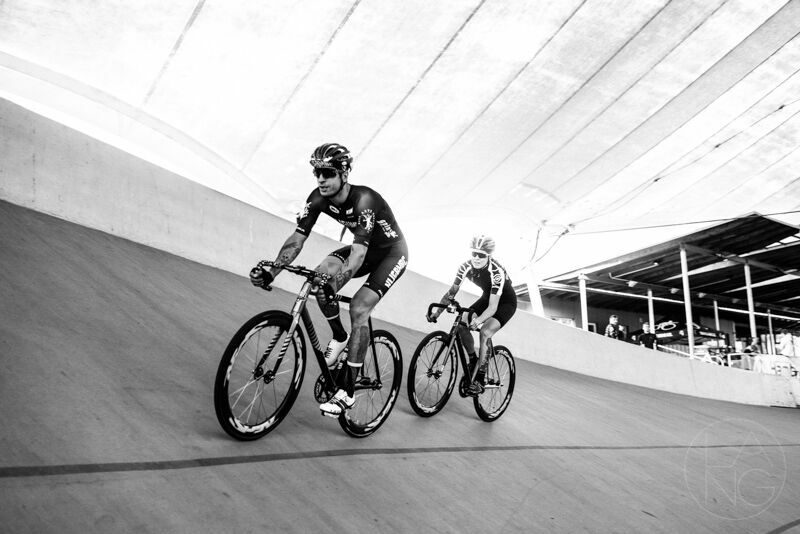 The plan was to take it easy and use the velodrome as a warm up for the crit on Sunday, although as soon as the stop watch came out and the racing started I knew I was in for a tough day. The day was to be filled with match sprints on the 250m concrete track covered by a giant tent, it was a pretty rad location. The track itself was pretty bumpy thought when I had my head down and was digging deep the bumps were the last thing on my mind. First off each rider completed a flying 250m lap, the fastest rider would face the slowest, second fastest verses second slowest etc… I managed to set a lap time of 15.97 coming in 3rd behind Fish with his 15.96 and first with 15.10. It was a pretty close qualifier and I was happy to be sitting in 3rd as I knew it would mean my first race should be relatively easy. I haven’t raced match sprints on a velodrome before, here’s a brief description of how they work. Riders toss a coin for front or back position, there are 3 laps, first rider to cross the line wins. Sounds simple but it isn’t a flat out 3 lap race, there are a lot of tactics as you would need to be incredibly strong to go for the win on lap one! 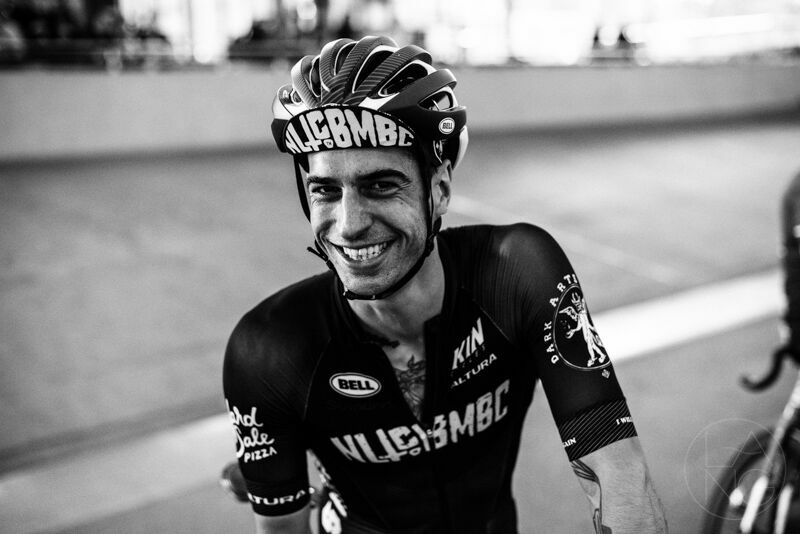 As expected I won my first heat, I knew the next round would be much harder as the majority of the racers left in all qualified and raced in the Red Hook Crit. In my second race I was against Hagen from Messpack, I have raced him before in crits, I was going to have to get tactical if I wanted to stay in. I started at the back although Hagen rode tactically forcing me to come through half way through lap 2, I decided that I had to just go for it, getting as much kick from the velodrome as I could I dropped in and pushed as hard as I can for the final lap, I had just enough to stay in front and advance to the next round. I now faced Eike from Fixedpott, the dude is seriously strong and loves a breakaway so I knew I had to keep my eye on him. That said I completely messed it up and he snuck past me building up a serious gap, I chased him down relatively quickly though didn’t have enough to come around, that was me out in the semi finals. Well I thought I was, but as it was a match sprint and you need 2 riders the race was 1 rider short and as I was the 3rd fastest qualifier I was back in. My heart sank when I realised I was racing the current fastest qualifier. The inevitable happened, although it was much closer than I anticipated. I had one final round against Fish, if I won I would be on the podium in 3rd…and I really wanted that podium spot! The only problem was Fish wanted it too and he has been racing track since he was a little kid! Nevertheless I was going to push as hard as I could to get that spot, the first 2 laps were slow, very slow, Fish was really trying to get me to come through and I was point blank refusing. We ended up in a trackstand for quite sometime before Fish went for it, I had his move covered but left the overtake too late and missed out by a fraction! I did miss out on the podium but I am stoked on 4th against some really strong riders, the day was awesome and the racers were amazing sports. I love how friendly the scene is, the racing is hard and people are serious and competitive but as soon you cross the line it’s all good. It’s this friendly atmosphere that make events a success in my mind, whether you’re racing or spectating it’s a great day out. I probably blew my legs out a bit for the crit the day after but it was worth it. Stay tuned for my write up of the Waterkant Krit. Thanks Tobias Lang for the images!